(Bangkok, 12 May 2018) - The Vietjet Sky Career Festival 2018 was held with an aim to help young people to have more understanding about the job in airlines industry and to give opportunities for Thai young people to have a good start with airline career. During this festival the participants can look for a job in such area as pilot, cabin crew, engineering and other functions in the airlines. 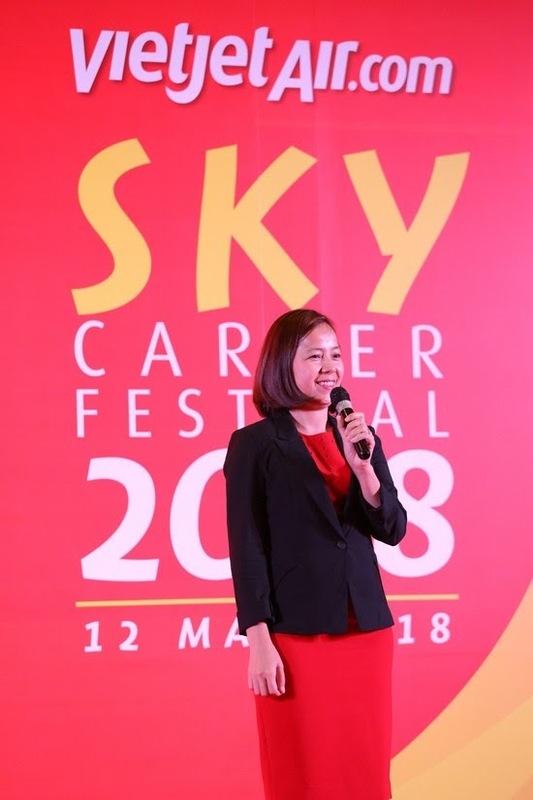 There are more than ten thousand people had downloaded the Sky career site to get information and application and around 2500 people participated into the Festival on the 12nd May in Mariot Bangkok Sukhumvit Hotel in Bangkok. 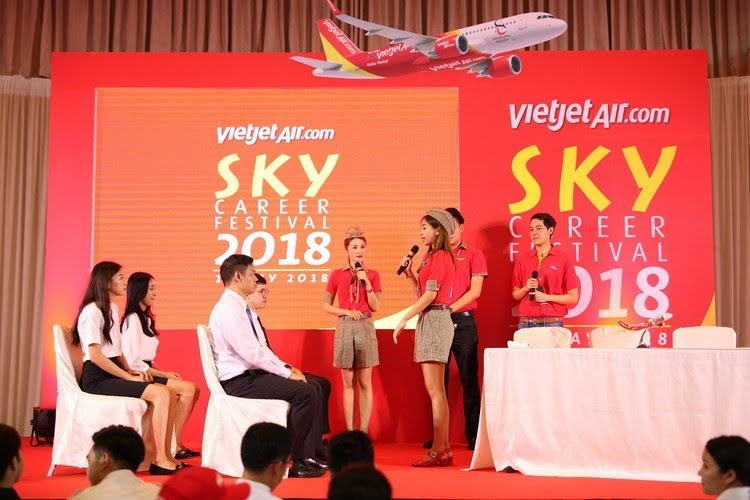 At the event, Ms. Nguyen Thi Thuy Binh, the leader of ThaiVietjet, had shared: “This event is giving more opportunities for young people who dream of having a chance to work in the airlines industry. In 2018 we can give the job for more than 1000 people and more than 4000 Thai people in next 3 years. 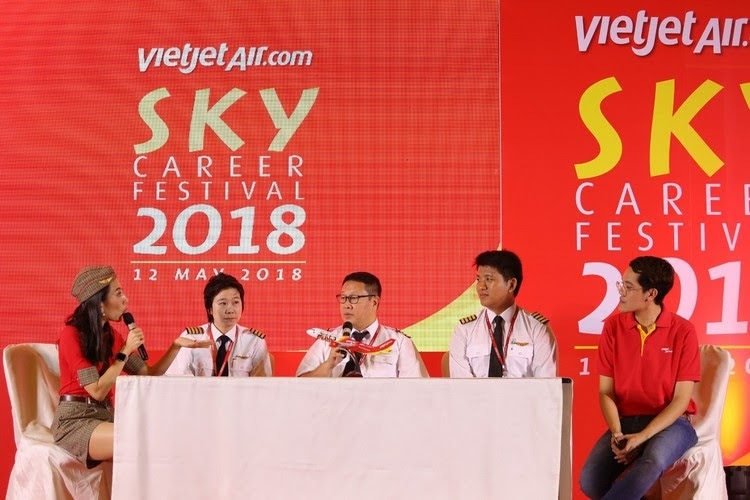 We are happy to bring the good career path for young people who have high passion in the airlines and love to take challenge with innovation. The success of our company is also employees’ success in their career. I believe the event today can give good time for all the young people to grasp the chance to make their dream become true.”. 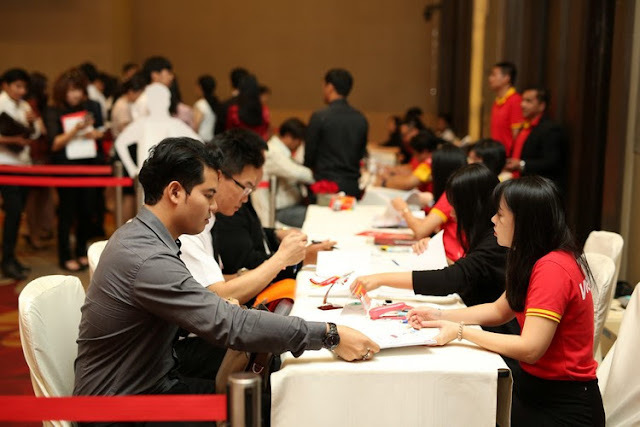 As part of the Vietjet group, which connects Thailand and Vietnam, Thai Vietjet has a fleet of 5 A320 aircraft that operate a domestic network of from Bangkok to Phuket, Chiang Mai, Chiang Rai and between Phuket and Chiang Rai. The international flights are between Bangkok and Dalat. 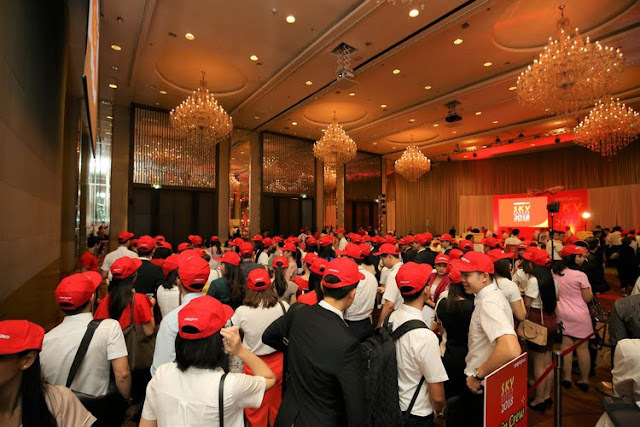 The carrier has planned to extend the fleet to operate the network to other international destinations such as Vietnam as well as in ASEAN and East Asia region in the future. Vietjet is the first airline in Vietnam to operate as a new-age airline with low-cost and diversified services to meet customers’ demands. It provides not only transport services but also uses the latest e-commerce technologies to offer various products and services for consumers. 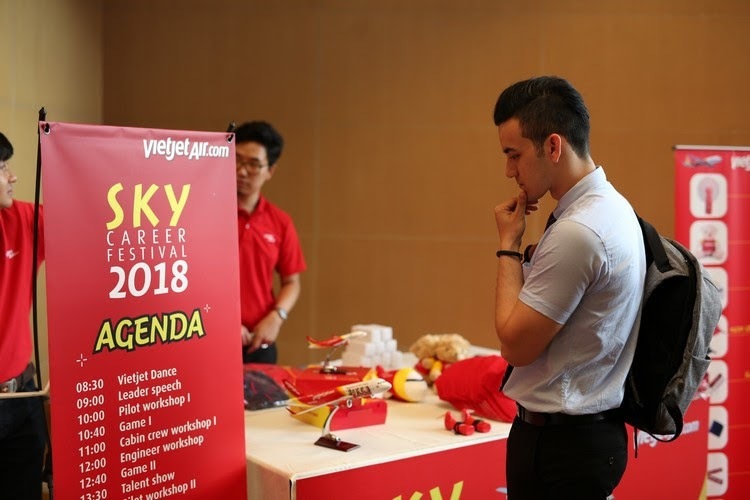 Vietjet is a member of the International Air Transport Association (IATA) with the IATA Operational Safety Audit (IOSA) certificate. 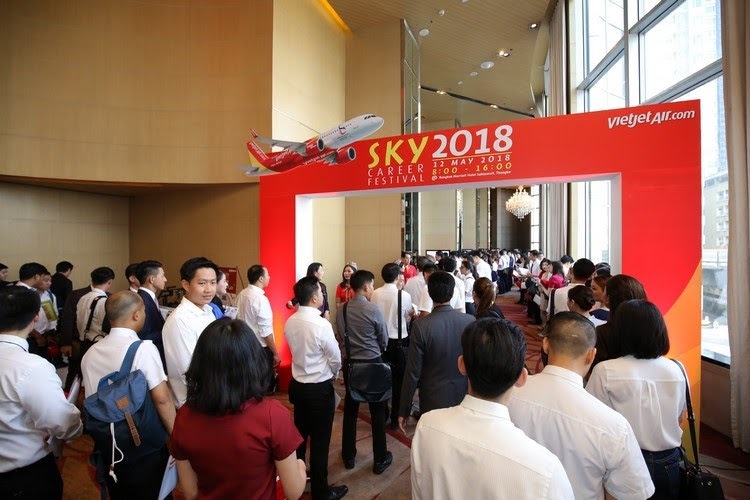 The airline was also named as one of the Top 500 Brands in Asia 2016 by global marketing research company Nielsen and the “Best Asian Low Cost Carrier” at the TTG Travel Awards 2015, which compiles votes from travelers, travel agencies and tour operators in throughout Asia and Asia’s Best Employer Brand by the Employer Branding Institute and World HRD Congress for many years. The airline was also rated as one of the top three fastest growing airline brands on Facebook in the world by Socialbakers. 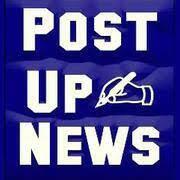 Currently, the airline boasts a fleet of 56 aircraft, including A320s and A321s, and operates 385 flights each day. It has already transported more than 55 million passengers on a network featuring 83 routes in Vietnam and across the region to international destinations such as Thailand, Singapore, South Korea, Taiwan, Hong Kong, Mainland China, Malaysia, Indonesia, Myanmar and Cambodia. 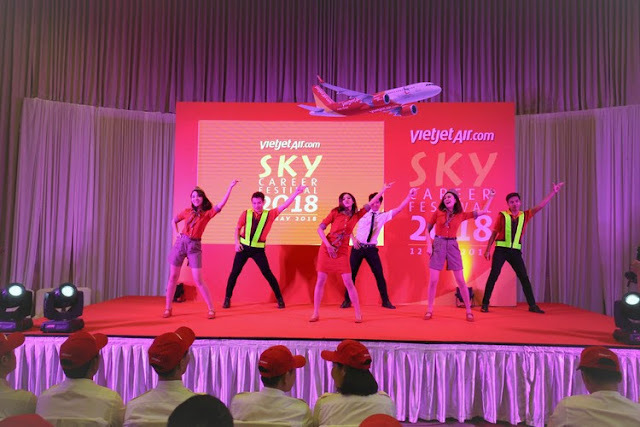 Like Vietjet on Facebook, https://www.facebook.com/VietjetThailand, follow us on Twitter, @Vietjetvietnam, and watch our videos at https://www.youtube.com/user/Vietjetvietnam.